H&H Men's Hair Design is the best men's hair salon in Castle Hill that specialises in styling haircuts, hair colour, shaves, flat top, streaks and much more. We are 100% scissor over comb which means every haircut we give is tailored to the individual, taking into consideration hair texture, hair direction, face structure/shape, personal style and desired look to achieve a result most men didn’t even know was possible for their hair. Looking for a simple shave or a complex mens styling? 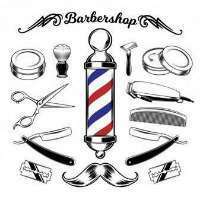 Our experienced, professional barbers will be happy to help you. We have experience with virtually every type of mens hairstyle from traditional to modern, and everything in between. We have created the perfect atmosphere where you can relax and get your desired haircut. Our barbers are professionals who are constantly learning the latest trend in all spheres of men’s services. H&H Men's Hair Design is always ready to give you a piece of advice about your haircut, hairstyles or any other service. Our barbers like the challenge of learning a client’s likes and dislikes because to us barbering is an everyday learning experience. If you are looking for the best men's hair salon in Castle Hill, don't hesitate to call or visit H&H Men's Hair Design today!